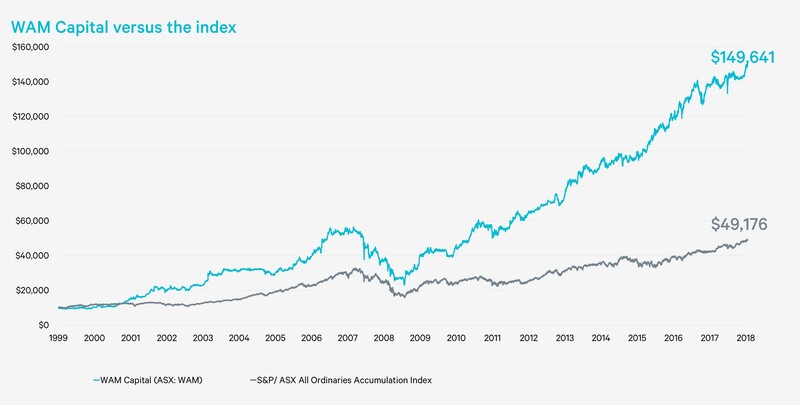 WAM Capital provides investors with exposure to an actively managed diversified portfolio of undervalued growth companies listed on the Australian Securities Exchange. WAM Capital also provides exposure to relative value arbitrage and market mispricing opportunities. WAM Capital’s investment objectives are to deliver investors a stream of fully franked dividends, provide capital growth and preserve capital. James has been involved in financial markets for 32 years, primarily as a fund manager across a broad range of sectors. James is currently Chairman and Managing Director of Dart Mining NL. Prior to this, James worked as a fund manager and proprietary metals trader in Sydney, Hong Kong, London, and Melbourne. Philippa is a highly experienced legal academic with exceptional experience in commercial law, corporate governance, finance and technology. Dr Ryan is a lecturer at the UTS Faculty of Law, a founding member of the UTS Blockchain Cluster, a director of the Landers and Rogers Board, deputy chair of the Australian Computer Society blockchain technical committee, a member of the Standards Australia blockchain technical committee and a member of the Australian Digital Currency Association industry advisory board. Dr Ryan holds a number of legal and academic qualifications including an LLB, BA, Med and PhD. Dr Ryan has been a director of the Company since April 2018. Chris has more than 17 years’ experience in the funds management industry. Chris worked with Wilson Asset Management for 12 years, which included eight years as Chief Investment Officer responsible for the management of the investment team and portfolios. Prior to that he worked at Challenger for five years in various research and administrative roles specialising in Australian equities. He holds a Bachelor of Business from the University of Technology, Sydney and a Graduate Diploma in Applied Finance and Investment. He is a member of the Australian Institute of Company Directors and is also currently a Director on the WAM Microcap Limited Board. Lindsay has more than 40 years’ financial services experience. He was formerly Chairman of Premium Investors Pty Limited (formerly Premium Investors Limited). Prior to that Lindsay was CEO (Singapore) and Regional Head Asia for First State Investments, the Asian business of Colonial First State Global Asset Management. Prior to this, Lindsay was CEO of AXA Investment Managers in Hong Kong. He is a Fellow of the Institute of Actuaries of Australia and a Graduate member of the Australian Institute of Company Directors. Lindsay has been a Director of the Company since December 2012. Lindsay Mann is currently an independent non-executive director of UCA Funds Management Limited and an independent Director of WAM Leaders Limited (appointed March 2016). Linda has over 15 years’ experience in financial accounting including more than 11 years in the funds management industry. As the Finance Manager of Wilson Asset Management (International) Pty Limited, Linda oversees finance and accounting and is also the Company Secretary for six listed investment companies, WAM Capital Limited, WAM Research Limited, WAM Active Limited, WAM Leaders Limited, WAM Microcap Limited and WAM Global Limited. Linda holds a Bachelor of Commerce and is a fully qualified CPA. She is a certified member of the Governance Institute of Australia. Linda was appointed Company Secretary of WAM Capital Limited in October 2017.